1.2.1 How to protect a page with a password? 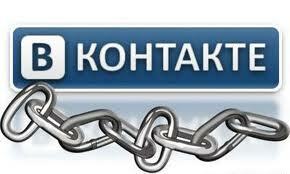 according to statistics,, about half of the users of social networks VKontakte and Odnoklassniki victims of hacking. 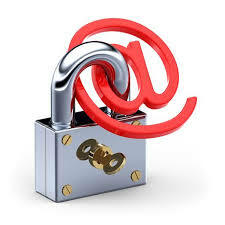 And it is not always limited to simple spam: most often, the user permanently loses control of his account. To avoid this, the page you need to take all possible measures, to securely protect page. This is what we discuss in this article. Before signing up for any social network it is recommended to create a special mailing address with a complicated name (jumble of characters) and not less than complex password. For what? Usually, page hack for resale. Therefore, together with the page is sent to the buyer and postal address, to which this account is registered and. If a hacker is easier to hack another page, than to guess the password to your email, it will take the path of least resistance and will leave you alone. Besides, page with an unnatural email may make the buyer a lot of questions. And this is another obstacle to sales and one less reason to break into your account. Of course, no overloads the brain and does not select a password manually. 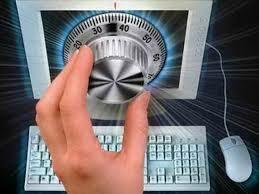 For this purpose, special programs, which in turn is inserted into a variety of passwords and "try" to go to page. First, in the course are the usual word in the dictionary, then - the more complex combinations of letters and digits. Finally, program to "guess" the right combination and open an attacker access to the page. Only a matter of time. So remember a simple rule: the more complex the password, the longer it will take to crack. And who wants to mess around three days on one page, If during this time, you can crack a few dozen other? How to protect a page with a password? The password is needed to use letters of the lower and upper case, numbers and various symbols, such as @ ^ $:»#! * and so on. Password is better to enter the on-screen keyboard, because there are programs, The ability to track the text you type. When the social network registration must indicate your mobile phone number. For what? Any more or less significant effect with the page (Change Password, change email address etc.) It will require the introduction of a unique confirmation code, that every time will be coming to a specified number. Even if your password is hacked, using his mobile phone always can be restored. Therefore, in order to steal a page, secure the phone number, you must first take hold of your phone. But that's another article, and bind to this, no one will. Engage only in those groups, that you really interesting, not at all, in which you are invited. If you already have an account, and you realize, that the registration made some mistakes, now is the time to fix it. Enter your cell phone number, Create a new mailbox, change password, "Clean" page, and you can be sure, that attackers will not be able to harm you. In an extreme case,, can write a statement to the police. there are precedents, when such things fairly quickly resolved. In this case, you not only learn the identity of the hacker, but also be able to see him in court. The truth in this case an attacker could face punishment including imprisonment.